Beef between Highlight's fanclub Light and VIXX's fanclub Starlight has resurfaced again in light of VIXX's recent promotions with "Scentist". 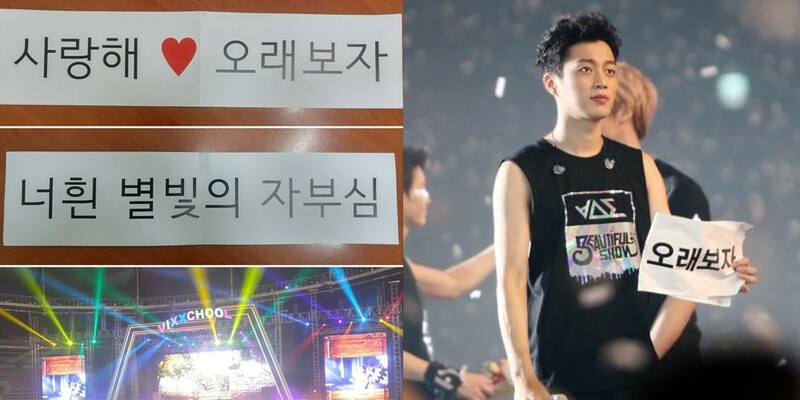 Highlight (formerly B2ST) fans and VIXX fans have a history of being involved in a fan war due to the fact that VIXX fans used the phrase "Let's see each other for a long time" as the official cheer slogan for various VIXX fan events in the past from years 2016-2017. According to Lights, the phrase "Let's see each other for a long time" has been an official fan slogan of Highlight and the Light fandom since 2014. The two fandoms clashed again in 2017 after Highlight changed their group name and also adopted a brand new, official fanclub name. Starlights, who found the fanclub name 'Light' too similar to their own fandom name, complained openly toward the Light fandom as well as toward Highlight and Around US Entertainment. Since then, the two fandoms have been at odds. Starlights argue that after the attacks they received from Lights (formerly B2uty) for using "Let's see each other for a long time," it's only fair to return the amount of hate to the Light fandom choosing a fanclub name that is too similar to VIXX's fanclub. Meanwhile, Lights are arguing that it is unfair for Starlights to band together and attack the Highlight members on social media or web broadcasts on top of complaints and hate sent toward Around US Entertainment. Regarding the use of "Let's see each other for a long time," it seems that some Lights are not willing to lessen the criticism toward VIXX for using the phrase too regularly in their official social media posts. The two fandoms are finding this matter difficult to settle as Lights are firm on the stance that "Let's see each other for a long time" has been Highlight's official slogan since 2014, while Starlights claim that VIXX's Leo first used the phrase in 2013 (Starlights, however, do not have evidence of Leo's comment). 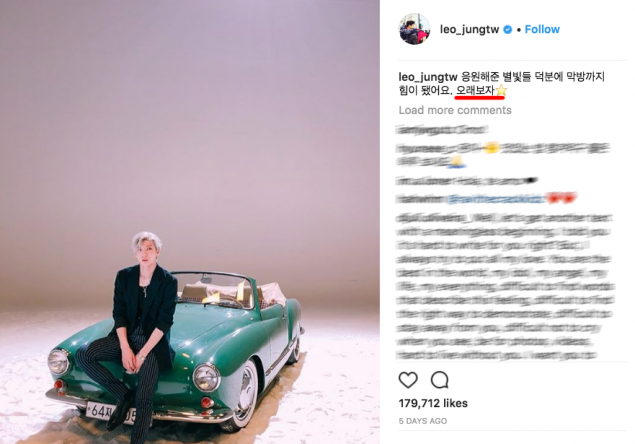 Most recently, VIXX's Leo was seen using the phrase "Let's see each other for a long time" on Instagram. Some comments from Lights included, "I honestly feel victimized. [They] don't listen to what we have to say at all and just criticize our fandom", "Light and Starlight have different meanings, but the slogan's meaning is the same on both sides", "It's true that we do need to apologize to Leo for attacking his SNS about using the phrase, but you need to apologize to the Highlight members for all your actions", etc. Some Starlights said, "How can you just say that you didn't see us apologizing for the slogan issue? We apologized because you asked, but if you say you didn't see it then it means you weren't paying attention", "The people who started the fight in the first place was you guys", "Apparently even common people can't use that phrase anymore", and more. Do you see a way for the two fandoms to come to a truce?